Our managers have been with us for many years. They have extensive know-how, years of experience on the tourism market and an in-depth knowledge of the Group's offering, which ensures effective implementation of our strategy. The Company’s Management Board is comprised of three members elected for the tenure of three years. The Chairman of the Management Board is elected by the Management Board from among its members. The Management Board also appoints the CEO after receipt of the prior approval from the Supervisory Council. Currently, the positions of the Chairman of the Management Board and the CEO are held by the same person, Audronė Keinytė. Audronė Keinytė joined Novaturas in 2006. She has a strong commercial background as well as deep knowledge of tourism products and the industry itself. In 2009 – 2010, she worked as Head of Services Abroad, while for the past 8 years (from 2010) she was responsible for product development and contracting. Since 2018, Audronė Keinytė has been a member of the Management Board of AB Novaturas. She was appointed the Company’s CEO in January 2019. She graduated from the Philosophy Faculty at the Vilnius University with a master's and a bachelor's degree in sociology. She has also gained professional experience while working in Lithuanian and USA (1999 – 2003) hotels. Tomas Staškūnas has been with Novaturas for 8 years, during which time he has been responsible mainly for financial reporting, budgeting, relations with financial institutions and organising the book-keeping process. He has a degree from the Business and Management Faculty at the Vytautas Magnum University. He has a master's degree in finance and banking. Birutė Čepanskienė has been with Novaturas for 17 years. She has been responsible for sales and bookings reservations, coordination and centralization of these functions on a group level taking on the role of production director at the end of 2011. She graduated from the Vytautas Magnum University with a master's degree from Business Management Faculty in marketing and sales. Prior to that, she had obtained a bachelor's degree in tourism and hotel management at Kauno Kolegija and had completed English language and literature courses at the Nottingham Trent University. According to the Company’s Articles of Association, the Supervisory Council is comprised of five members elected for the tenure of three years. Sebastian Król has been working with Enterprise Investors since 2001, currently as partner. He sits on the supervisory boards of the fund's portfolio companies. He also serves as director for funds managed by Enterprise Investors. In 2009-2015, he was director at Enterprise Investors Corporation. He graduated from the University of Łódź with a master's degree in economics. Ugnius Radvila has been with the Company since its establishment. In 1999-2011, he was the manager of Vilnius branch and, since 2011, he has been the consultant of the Company. In 1995- 2004, he was also the tourism director at Interservis kelionių agentūra UAB. He graduated from the Vilnius University, Faculty of Communication, with a master’s degree in Communication and Information (International communication programme). Vidas Paliūnas participated in the formation of Novaturas UAB on the basis of a merger of three travel agencies - one of which was "DELTA travel agency," where Vidas Paliūnas was the managing director. In 2009-2018, he was a member of Novaturas' management board and as of February 2018 he is a supervisory council member. He obtained an IT degree from the Chemnitz University of Technology in Germany. 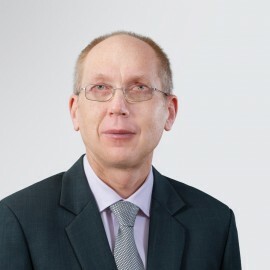 Piotr Nowjalis has been involved in financial management for 20 years. 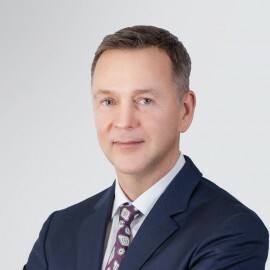 He held managerial and supervisory positions at many Warsaw Stock Exchange listed companies, including CCC (largest shoe retailer in CEE), AB (largest IT distributor in CEE) and Dino Polska (food retailer). He graduated from the Kozminski University in Warsaw (Executive MBA) and from the University of Gdansk at the Faculty of Economics and at the Faculty of Law and Administration. Franz Leitner has profound knowledge of the European travel markets, in particular DACH, CEE and Russia. From 1994-2007 he gained extensive experience in executive positions at Thomas Cook/Neckermann and TUI as CEO Austria/CEE/Russia. Since 2007, he has been providing consulting and transaction advisory services and has held supervisory positions for international clients in the travel industry. He graduated from the Tourism College in Innsbruck, Austria.